As the United States becomes more racially and ethnically diverse, education leaders are pushing for greater diversity among public school teachers. 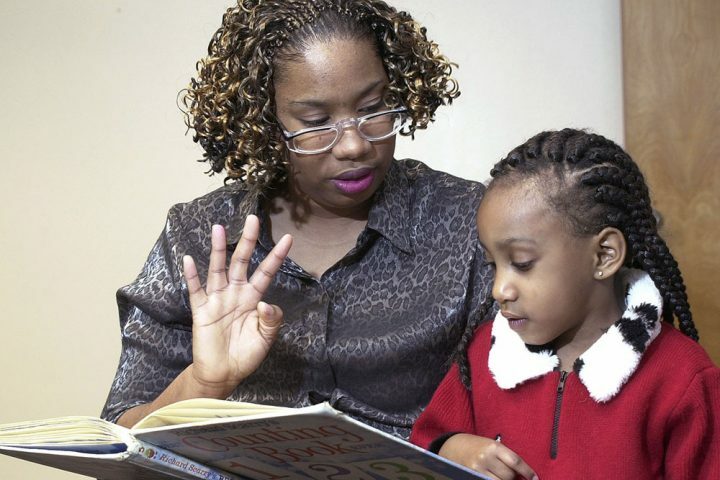 A growing body of research suggests children benefit in many ways from having a teacher of the same race or ethnicity. Published studies, for example, suggest black students do better in reading and math and are less likely to be suspended from school when they have black teachers. While the overwhelming majority of U.S. teachers are white, the proportion of minority teachers has grown from 13 percent in 1987-88 to 18 percent in 2011-12, according to a 2016 report from the U.S. Department of Education. Journalist’s Resource has pulled together a sampling of academic studies that explore how a teacher’s race or ethnicity may influence students in areas such as academic performance, classroom discipline and self-confidence. Toward the bottom of this page, we also provide links to other helpful resources, including data on student and teacher demographics and reports that explain some of the challenges school districts face in recruiting more teachers of color. Lindsay, Constance A.; Hart, Cassandra M. D. Educational Evaluation and Policy Analysis, 2017. DOI: 10.3102/0162373717693109. Wright, Adam; Gottfried, Michael A.; Le, Vi-Nhuan. American Educational Research Journal, 2017. DOI: 10.3102/0002831216635733. Grissom, Jason A.; Rodriguez, Luis A.; Kern, Emily C. The Elementary School Journal, 2017. DOI: 10.1086/690274. Gershenson, Seth; Holt, Stephen B.; Papageorge, Nicholas W. Economics of Education Review, 2016. DOI: 10.1016/j.econedurev.2016.03.002. Downer, Jason T.; Goble, Priscilla; Myers, Sonya S.; Pianta, Robert C. Early Childhood Research Quarterly, 2016. DOI: 10.1016/j.ecresq.2016.02.007. Cherng, Hua-Yu Sebastian; Halpin, Peter F. Educational Researcher, 2016. DOI:10.3102/0013189X16671718. Egalite, Anna J.; Kisida, Brian; Winters, Marcus A. Economics of Education Review, 2015. DOI: 10.1016/j.econedurev.2015.01.007. Bates, Littisha A.; Glick, Jennifer E. Social Science Research, 2013. DOI: 10.1016/j.ssresearch.2013.04.005. A 2016 report from the U.S. Department of Education, “The State of Racial Diversity in the Educator Workforce,” offers detailed data on the demographics of students, teachers and school principals. The National Center for Education Statistics provides detailed reports on teacher demographics, including race, age, education level and years of teaching experience. The American Association of Colleges for Teacher Education monitors who enrolls in and graduates from teacher education programs as well as colleges’ efforts to attract individuals to the field. A 2016 paper published in Community College Journal of Research and Practice looks at how community colleges are helping address shortages of minority educators. This 2014 report from the national teachers’ union, the National Education Association, explains the organization’s view on faculty diversity.